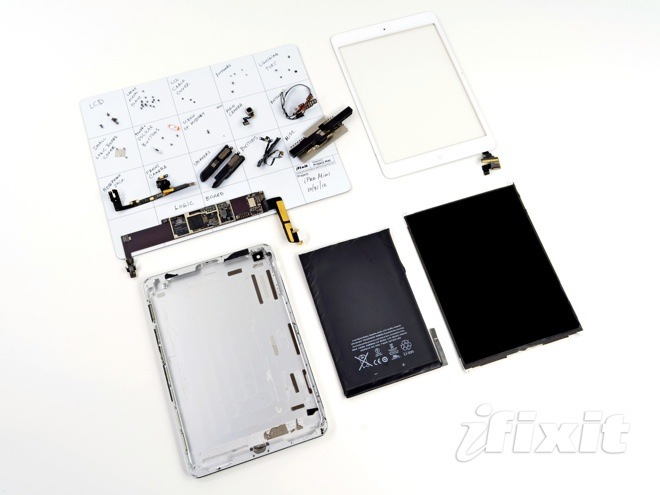 iFixit is continuing their tradition of tearing down every major new product and the latest product to fall in their hands is the new iPad mini. As usual the teardown reveals some interesting pieces of information that are otherwise kept away from the general public by manufacturers. So let’s take a look. The first thing we learn is that the iPad mini is not repair-friendly. There is a copious amount of glue that holds parts together, which is good if you have to package everything in a tight space but not if you want to take things apart (unless you have a heat gun like iFixit). Thankfully, it’s not all bad, with the display and the glass are not fused together, so they are easier to replace separately and the battery is not soldered to the logic board or other components. One of the most interesting discoveries inside the iPad mini is the presence of stereo speakers. Yes, surprisingly, that second grille at the bottom isn’t just ornamental and although the Apple website mentions only one speaker the iPad mini actually has two inside. The only reason I could think of why Apple is not touting this addition is because the more expensive iPad 2 and the iPad with Retina display have only a single loudspeaker, as does every other iOS device. That’s the extent of surprises inside the iPad mini. The other parts are rather expected. 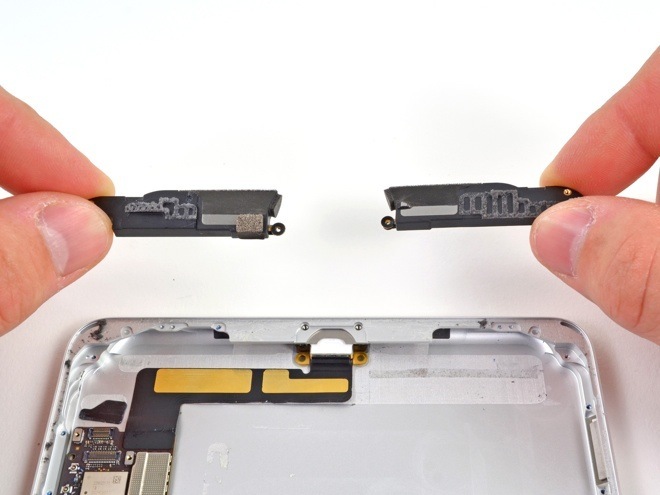 The display unit in iFixit’s device was manufactured by Samsung but since Apple does not rely on just one supplier other device may have units from other suppliers, such as LG. 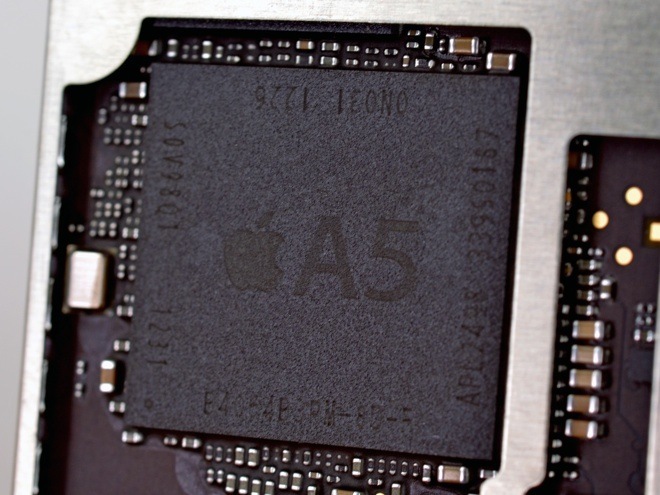 The A5 chip is similar to the one in the iPad 2 and also has the same 512MB of RAM. The Li-Po battery is 16.5Whr, down from 25WHr on the iPad 2 and 43Whr on the iPad with Retina display, although that evidently hasn’t affected the battery life at all. The new Lightning connector makes an appearance here and due to its smaller size makes it possible for Apple to squeeze in a second loudspeaker on the side. The cameras are same as that on the iPad with Retina display; 1.2 megapixel on the front and 5 megapixel on the back. You can read the full teardown report from the link below.